Incongruity was what struck me about today’s picture, taken on the streets of Paris in spring a couple of years back. On the one hand, it is instantly recognisable as the French capital from the building style, the trees and the street signs. On the other, there is a strange disjunction as the dining table obtrudes into the image – wating, perhaps, for the arrival of some al fresco dinner guests? 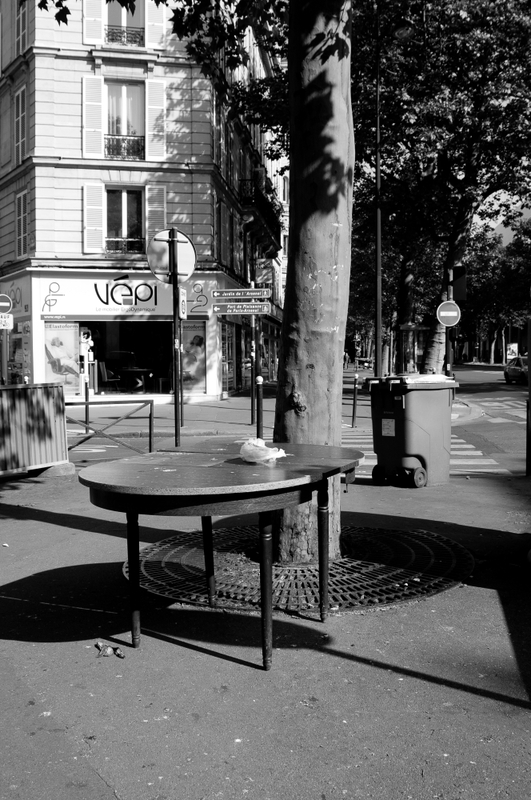 This entry was posted in Cityscape, Photography and tagged al fresco, black and white, dining, dining table, France, incongruity, Paris, photograph, Photography, street, table. Bookmark the permalink.